© 2018 Security First. All Rights Reserved. Amber is our multi-talented, multi-tasking Office Manager. She does a little bit of everything around the office from scheduling to payroll and beyond. She is integral to keeping a tight ship behind the scenes, as well as being the face of Security First, interacting with everyone who walks through the door. Her strong work ethic and excellent communication skills make her a great asset to our company; and her warm personality and jovial wisecracking make her a vital member of our team. Jared manages the dispatch office for Security First throughout the night, working closely with every tier of the company. Prior to joining the Security First team, Jared served in the U.S. Army for 6 years as a Cavalry Scout, a reconnaissance specialist. He developed an expertise in communications, observation and surveillance while conducting operations in South Korea and northern Afghanistan. He also spent time as a private security contractor in Kuwait. Now, he coordinates with the other supervisors to develop and produce post orders, procedures and training aids for our security officers, as well as maintain overall operations for stationary units and the Patrol Division. Lt. Howard comes to Security First from a very wide background of both technical application and public safety support. James spent over twelve years providing specialized training , technical services and business analysis to police, fire, EMS and governmental agencies internationally with a tier one public safety company doing everything from project initialization through project completion and continued support. James has been with Security First since 2015, acting as a field trainer, recruiter, government contracts project lead and a working “feet on the ground” lieutenant with the goal of making Security First the number one choice in private security services. In his spare time he leads classes and events revolving around disaster preparedness using “pre-enactment” themed events all over the greater California wilderness. 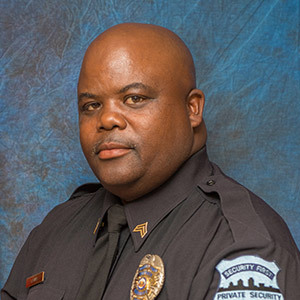 Lieutenant Spencer joined Security First in February 2012. As a field officer, Lt. Spencer leads and directs security officers at several shopping centers throughout San Diego County. He specializes in crowd management and customer service. 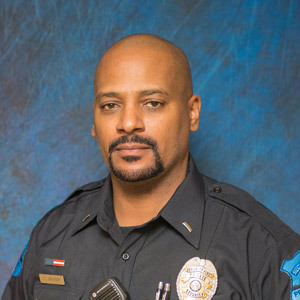 Prior to joining Security First, Lieutenant Spencer was a dedicated and loyal 20 year Veteran in the United States Navy. He proudly served at his first command onboard the USS Midway which is now a historical museum in downtown San Diego. Sayfe Salem is the founder of Security First. He founded the company shortly after graduating from McGeorge School of Law. Prior to attending law school, Mr. Salem was involved in various businesses. His business and legal knowledge combined with the staff’s security experience has led to the company’s success. 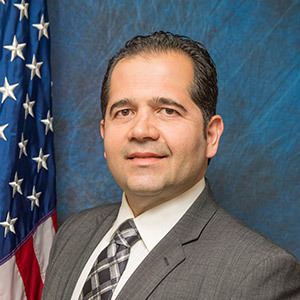 Lance A. Ruiz is the Chief Operating Officer of Security First with overall responsibility of the organization, brand management and motivation of personnel. 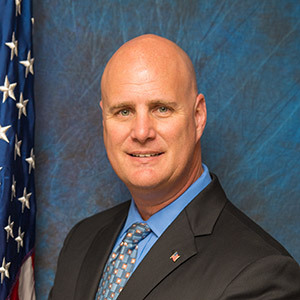 Prior to joining Security First, he worked in various executive leadership roles for companies such as Planned Parenthood, Hard Rock Hotel, and Hilton Hotels. 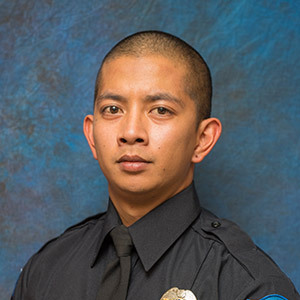 Lance also served as a law enforcement officer in San Diego County. Lance’s greatest strengths are his customer service skills, value driven mindset and his leadership abilities. He thrives on challenges, particularly those that expand the organization’s reach. His mission is to provide upgraded security services to include excellent customer interactions, as well as maintaining a safe environment for our clients. Lance holds a Bachelor of Science degree with emphasis in criminal justice and business management. He also earned his Master’s in organizational leadership from Chapman University. 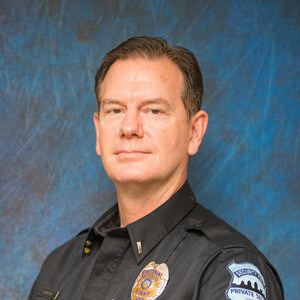 He has received extensive training and earned certificates in executive protection and enjoys sharing that knowledge with others to help them grow in their own roles. Lance has been recognized and earned honors and awards for his leadership abilities both in the community and in the private sector. Lance is a Core Adjunct Professor for National University, instructing courses at the graduate level in organizational leadership. He lives in San Diego County with his wife and his son where he enjoys spending quality time with them. In his free time, Lance enjoys attending car shows with his 65 Mustang, riding his Harley Davidson and giving back to the community through his not-for-profit motorcycle club.